Visit our onboard Café car to enjoy a variety of snacks, sweets, light meals and beverages. 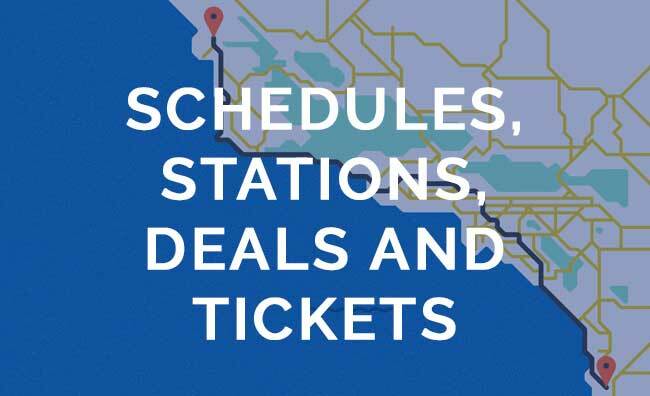 Many products are locally sourced from along the Pacific Surfliner route! Check out some of the popular items we offer onboard. Everyone likes pizza, and you can get one for yourself from the Café car. Sandwich selections rotate, and may include roasted turkey pesto, tomato and mozzarella with basil, the Santa Fe chicken panini and others. For $3 more, make it a combo with a 12 oz. can of soda (or water), and your choice of chips! In addition to our hummus and pretzel kit, we also offer a guacamole and rolled tortilla chip kit, roasted pistachios, and almonds. Need a pick-me-up? We offer Starbucks® Iced Black Coffee, Monster® Energy Drinks, and Blue Machine Naked® Smoothies, in addition to soft drinks, sparkling water, hot chocolate, tea and more. We’re proud to partner with top breweries to offer delicious, local craft beers onboard. Selections rotate. Also check out our selection of California wines and mixed drinks. View the full menu of snacks, food and drinks here, or stop by the Café car to browse our selection. Keep an eye out for new products as we continue expanding our menu.